In my experience, effective counselling provides a trusting relationship with someone who is non-judgemental, accepting and able to listen to you. Therefore, I believe the counselling experience can be beneficial for those who are experiencing difficulties who require someone to help them work through their problems. This could be due to a recent event or something from the past. 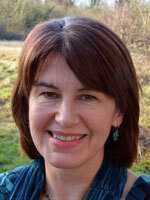 I have a broad experience of working with adults and young people in counselling agencies and health care settings. As well as my own practice, I work for an organisation that provides counselling for those coming to terms with sexual abuse and trauma. In addition, I have over 30 years of nursing experience and I am particularly interested in helping clients understand the relationship between ill-health and emotional well-being. Initially we would meet for a session for us to discuss the focus of the therapy and whether we can work effectively together. We would then arrange weekly sessions. My approach is Integrative, meaning I can offer a variety of ways of working, such as Person Centred, Cognitive Behavioural Therapy, Psychodynamic and Transactional Analysis, depending on what is most appropriate for you. My aim is to provide a safe and confidential environment which is non-judgemental. It is an opportunity for you to explore your past and present thoughts and feelings, which could lead to a better understanding of yourself and your relationships with others.